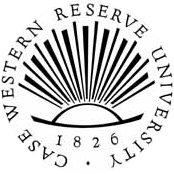 Case Western Reserve University is a private research university located in Cleveland, Ohio, United States, with some residence halls on the south end of campus located in Cleveland Heights. It was formed in 1967 by the federation of Case Institute of Technology (founded in 1880 by philanthropist Leonard Case Jr.) and Western Reserve University (founded in 1826 as the Western Reserve College in the area that was once the Connecticut Western Reserve). The university offers programs of study in Arts and Sciences, Dentistry, Engineering, Law, Management, Medicine, Nursing, and Social Sciences. The university is approximately five miles (8 km) east of downtown Cleveland in University Circle, a 550 acre (220 ha) area containing numerous educational, medical, and cultural institutions. Case has a number of programs taught in conjunction with nearby institutions, including the Cleveland Institute of Music, the Cleveland Institute of Art, the Cleveland Hearing & Speech Center, the Cleveland Museum of Art, the Cleveland Museum of Natural History, the Western Reserve Historical Society, and the Cleveland Play House. There are two main transportation options for students: For on- and near-campus transportation, Case Western Reserve University has a fleet of shuttle buses known as "Greenies"; for longer trips, students may use the Greater Cleveland Regional Transit Authority (RTA) bus and rail system. Each undergraduate student receives an unlimited RTA pass, which is paid for via a mandatory $25 fee per semester. Case Western Reserve University does not manage its parking lots, requiring students, faculty, and staff to purchase permits from University Circle Incorporated. The rates vary between approximately $30 and $80 per month, with multi-year waiting lists on the most popular lots. The university owns parking garages, one by the Village at 115th and the other near the Veale Athletic Center. Permits for these two lots are purchased from Case Western Reserve University, and cost about $500 per semester. 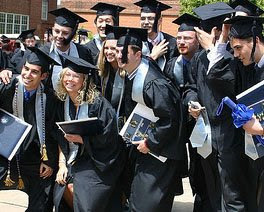 Case Western Reserve University's endowment ranks at #30 among all U.S. colleges and universities. The university comes in at #18 for largest endowment growth over the past 20 years, experiencing an increase of 393% in that time. (See: List of U.S. colleges and universities by endowment). 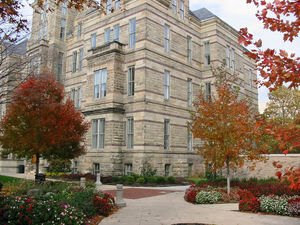 However, the university finished the 2007 fiscal year with a $20 million operating deficit. According to U.S. News & World Report's 2008 rankings, Case's undergraduate program is ranked #1 in Ohio and #41 among national universities. It is most highly regarded for its medical school (currently ranked #21 and #28 for research and primary care, respectively, in US News rankings) and Biomedical Engineering department, which ranks at #7 among undergraduate and graduate biomedical engineering programs. In 2006, The Times ranked Case 26th in the US and 60th worldwide. Among national universities, the 2006 US News rankings placed the Weatherhead School of Management undergraduate program at #29 with the Case School of Engineering undergraduate school taking the #39 spot. 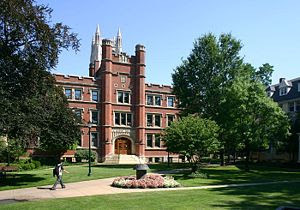 In 2004, the Mandel School of Applied Social Sciences was ranked #11. When last ranked in 2006, the graduate program at the Frances Payne Bolton School of Nursing came in at #5. In the 2008 rankings, Case was listed at #22 for Best Value institutions, which are defined as colleges which offer a quality education for a low cost when taking into account scholarships and financial aid awards. A release of medical school rankings from the National Institutes of Health shows that Case Western Reserve University School of Medicine and its affiliates has attained an overall institutional ranking of 12th among the nation’s 122 medical schools. The National Science Foundation has ranked Research and Development Expenditures for Case at #34 among all US colleges and universities. Furthermore, Case ranks at #32 for Federal Obligations to support Science and Engineering Growth and Development. The Advocate ranked Case Western Reserve University one of the top 100 LGBT-friendly universities, evidence of the University's improvements in diversity standards over the past decade and welcoming more LGBT students and families into the community.